You can access the bookstore in more than one way within your portal. 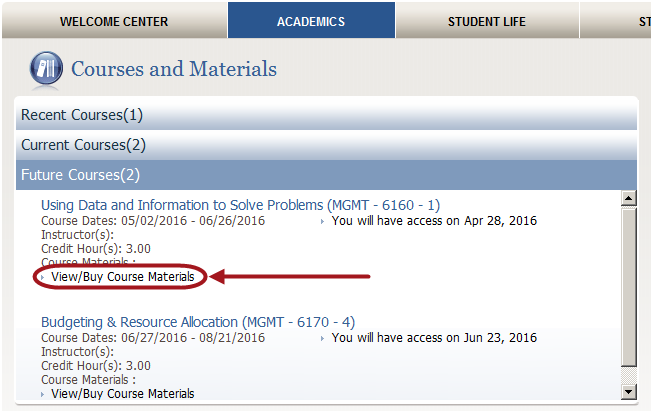 The fastest way to find your books will be using the link for your Course Materials under each of your specific courses on the Academics tab. Clicking on the View/Buy Course Materials link will give you the option to view or purchase the course materials needed for your course. 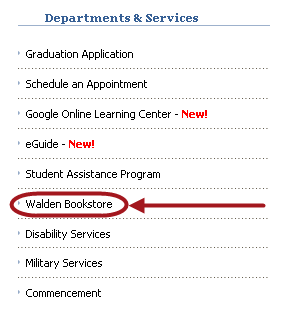 You can also use the link to the bookstore located on your Student Services tab. 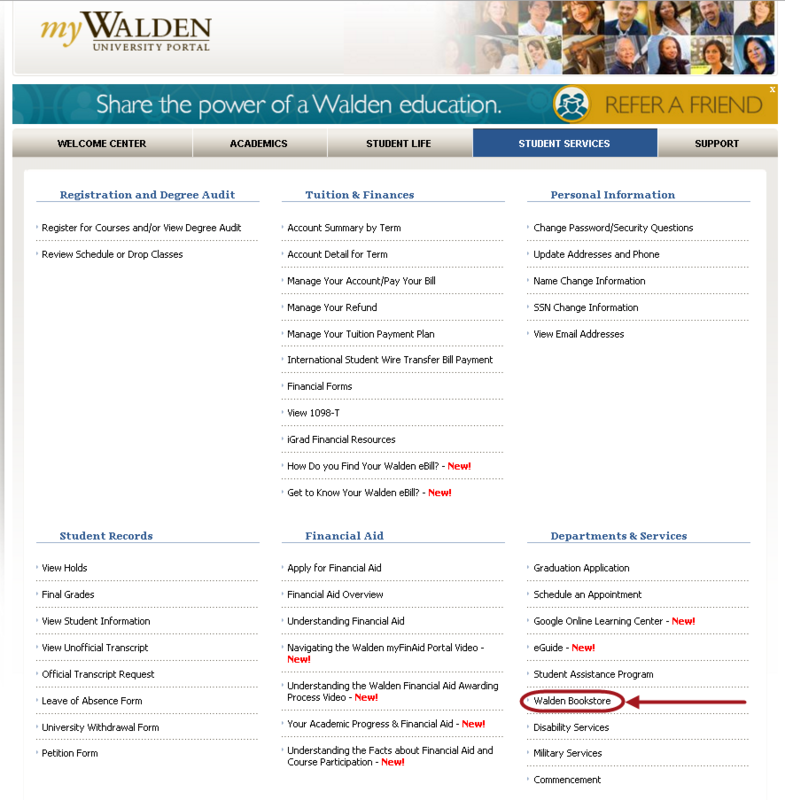 The bookstore’s link will be located in the bottom-right of the page, under Departments & Services.